Looking to address issues of long wait times and limited access to mental health care, the state of Maine has initiated a system-wide assessment of its behavioral health services for children. With a series of surveys geared towards stakeholders including children and families, providers, law enforcement and corrections personnel, advocacy service providers, educators and behavioral health providers, the state hopes to gather a wide range of feedback about the system, its strengths and areas where corrections are needed. “The review will examine the service array, regulatory structure, and operational processes across Children’s Behavioral Health Services or CBHS,” said Emily Spencer, spokesperson for the Maine Department of Health and Human Services (DHHS). “The information gathered will be analyzed and coupled with research regarding best practices and industry examples to identify solutions to areas requiring improvement,” she said. Spencer noted that the review will culminate in the development of short- and long-term recommendations regarding the CBHS system of care. The survey asks stakeholders for input on the strengths and weaknesses of the system of care along with suggestions for solutions. The questions were designed to address each aspect of the system with questions around education, juvenile justice, and access to care. “This review was developed in partnership with Disability Rights Maine, and seeks input from a broad range of stakeholders, children and families, key agencies, field staff, supervisors, providers, MaineCare, OCFS, CBHS, and others—ensuring we gather a comprehensive understanding of current needs from those on the front lines,” Spencer added. After being approached by Disability Rights Maine (DRM), an advocacy group for people with disabilities, regarding several concerns with the current system, the state hired an independent consulting firm to conduct the surveys. 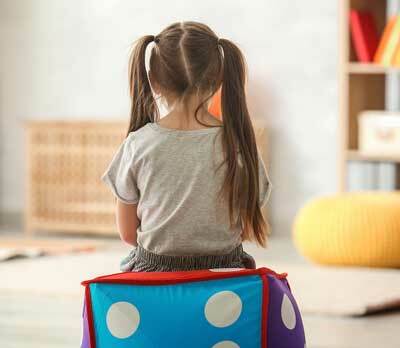 “We became aware and concerned about the wait list for home and community-based services and access to services,” said Katrina Ringrose, the children’s advocate for DRM. According to Ringrose, some children are put on wait lists for one to two years before receiving mental health care services. When a lack of in-home or community-based services leads to a need for acute care, children are often held for extended period in psychiatric or emergency rooms and/or sent to treatment facilities outside of the state. In addition to the surveys, the DHHS also reached out to a number of people for individual telephone interviews. “We provided the contacts for the DHHS to speak to well over 75 stakeholders,” said Ringrose. Access to the online surveys closed on October 14. The consulting firm is currently preparing an initial report that will be presented at several town hall-style meetings in late October or early November in order to get further feedback. A final report with recommendations should be finalized by the end of the year.